From Portobello by Inspire, this gorgeous mug provides a luxurious way to relax and enjoy a cup of coffee. 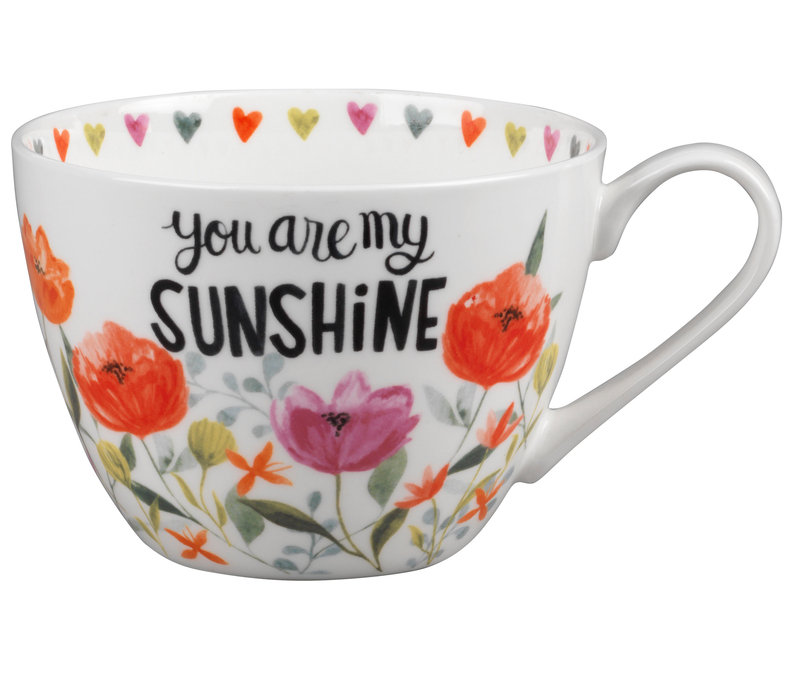 With elegant features and a colourful floral pattern, as well as a sweet “You are my sunshine” message, this mug will look charming in any setting. Crafted from bone china with a gloss finish, it is microwave and dishwasher safe, making it practical for everyday use and convenient to clean. Ideal as a gift for a loved one, this beautiful mug will be the perfect addition to every home. A generously sized 9h x 12.3w cm, it comfortably holds 350ml, or 400ml if filled to the brim, perfect for when you need a large coffee.